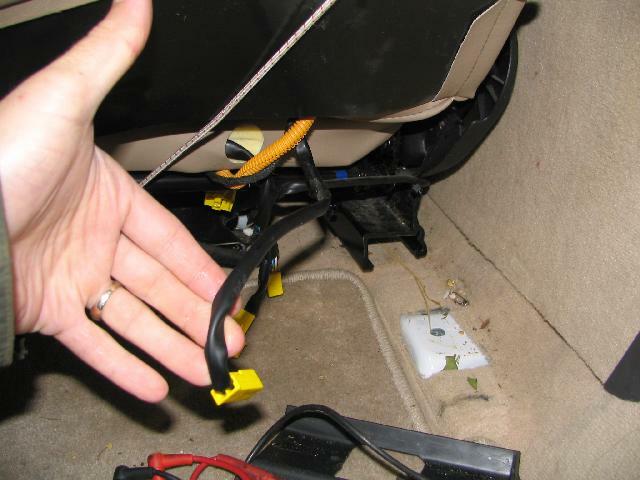 The seat heater is a pretty basic system and is just as easy to diagnose and repair. 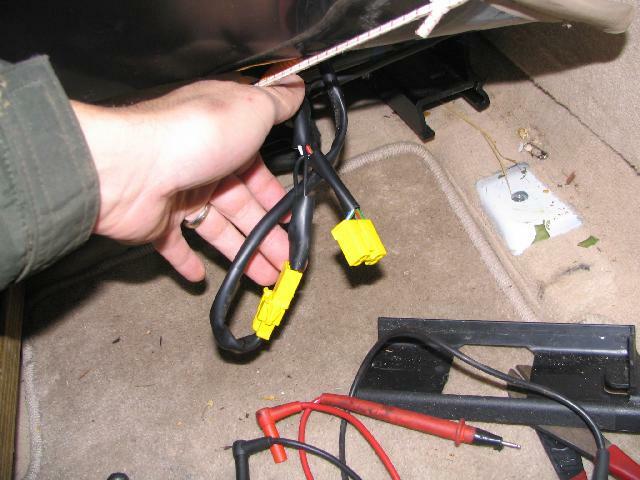 When you flip on the switch, electrical current goes through a small wire which creates heat. The 3 numbers on the switch represent levels of heat with #3 being the hottest setting. There is a small thermostat in the seat that will switch off the current once the set temperature has been reached. The passenger seat has a pressure switch to stop the current with no one sitting in the seat. The most common failures are the switch and the lower heating pad. To test the switch, you can first swap switches from the other side and see if that fixes it. If the switch swap doesn't help, then most likely the lower pad is dead. You can test the whole circuit for continuity by using an Ohm meter and going across green/red and black. If that fails, you need to test each seat section separately to find out which one is broken. You do this by pulling off the 2 black wire connector and using the Ohm meter test the green/red wire and the black wire coming out of the lower pad. By process of elimination you can figure out where the problem is. If you need to replace the bottom seat pad, then go on to the next section. Overall, replacing the pad is not a very hard job. For experienced DIYer's it should take around 2 hours.